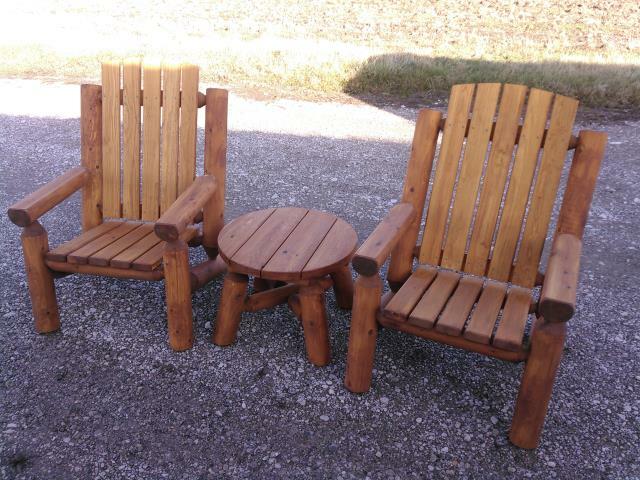 Log chairs are a perfect choice for the cottage or around the campfire. They have a real rustic charm. Constructed with 4″ round eastern white cedar logs and very strong mortise and tenon joinery. Built to last! They come sanded smooth and include Sikkens SRD stain and Sikkens premium clear top coat.